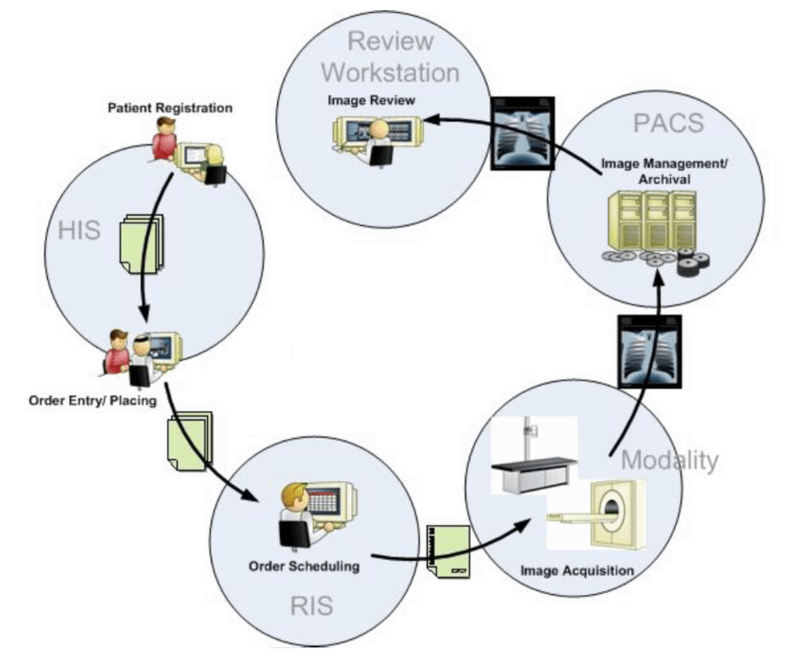 The American College of Radiology (ACR) and the National Electrical Manufacturers Association (NEMA) recognized the emerging need for a standard method for transferring images and associated information between devices manufactured by various vendors. These devices produce a variety of digital image formats. The American College of Radiology (ACR) and the National Electrical Manufacturers Association (NEMA) formed a joint committee in 1983 to develop DICOM. 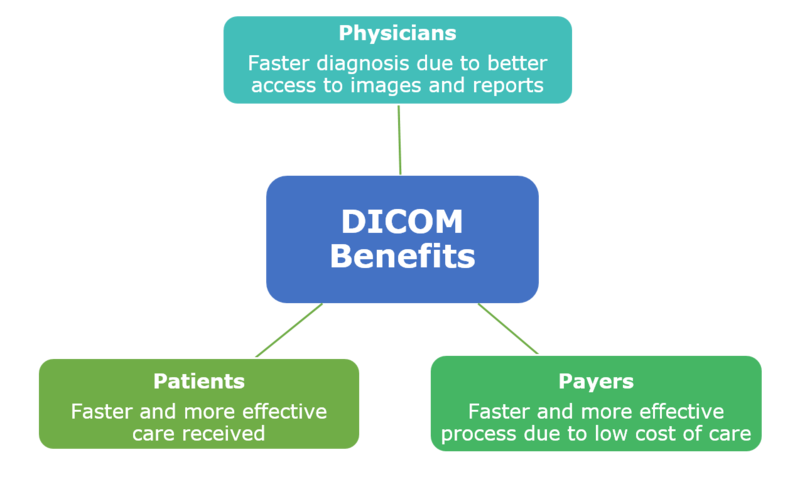 The DICOM Standard pertains to the field of Medical Informatics. Within that field, it addresses the exchange of digital information between medical imaging equipment and other systems. Because such equipment may interoperate with other medical devices, the scope of this Standard needs to overlap with other areas of medical informatics.